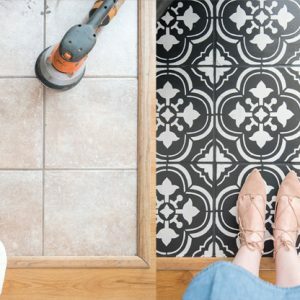 There’s something just so classic and beautiful about using black and white together in decor, isn’t there? I’ve always loved the combo, and I’m really thrilled with how this scheme is turning out in our guest cottage renovation. (In case you missed it, you can read more about how we’re turning the old “garage house” we lived in for 7 years into a guest cottage here.) 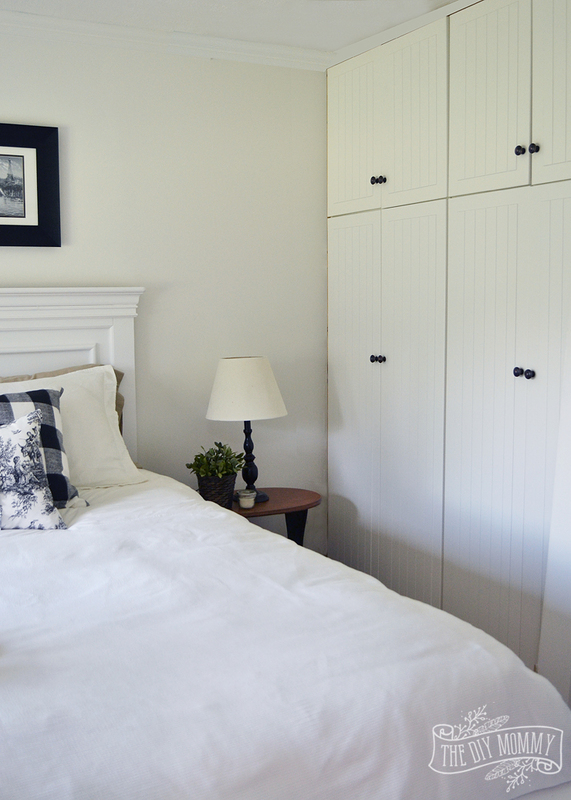 I’m especially loving how the black and white themed bedroom in our guest house has turned out – it almost makes me want to move in! 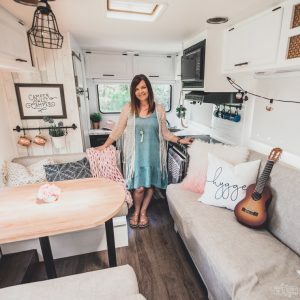 Let me give you a little tour of this tiny, beautiful bedroom and share with you some DIY tricks on how to decorate a small bedroom on a budget. To the left of the entrance of our guest cottage (you can read more about the entry makeover here), is one small bedroom. The cottage has two bedrooms altogether, but now we’re using one as storage. When we lived here, this bedroom featured was Little C’s room, and the storage room was the master bedroom. We pushed some walls and cupboards around a bit, and now Little C’s old room has become the guest house’s main bedroom. This bedroom is quite teeny tiny. At around 8 by 9 feet, there’s only enough room for a queen sized bed and a couple of small nightstands – but it’s cozy and bright. I painted the walls in Benjamin Moore’s Simply White (like the rest of the guest cottage’s walls), and I think this colour is so perfect for a small space. It really opens it up and gives the room such a fresh and airy feel. 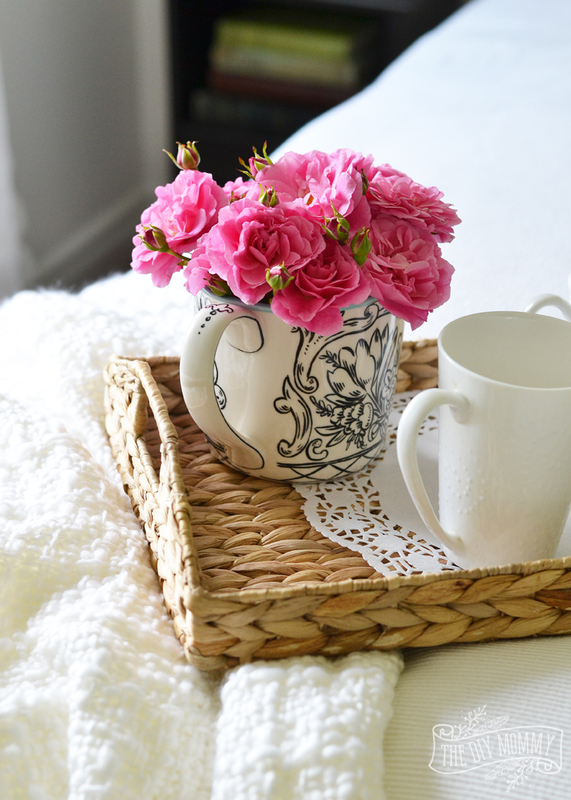 This lovely, textured white throw is from The Brick and it’s such a versatile piece! I love how it looks draped over the end of the bed here – ready to snuggle with. 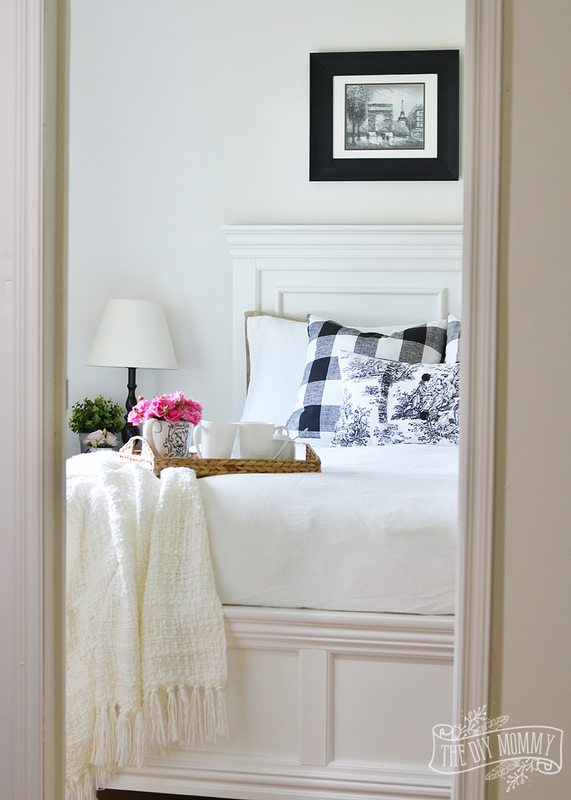 I really love how this gorgeous, bright white bed frame looks against the warm white of the walls. It’s just enough contrast to make the bed frame stand out, but the similar tones keep this room looking a lot larger than it actually is. I found this stunning bed frame at The Brick . It’s the Bridgeport Queen Bed in white and it has just the cottage feel that I was looking for! This bed also comes in black and merlot, but I am so happy that I chose the white version. It keeps the room feeling bright and open, and gives the space a perfect country cottage look. And just look at all of the detail! I adore the little bun legs at the foot of the bed, and all of the moulding accents. Plus, this bed is a lot less expensive than similar frames I’ve seen, so it’s a great choice if you’re putting together a bedroom on a budget. 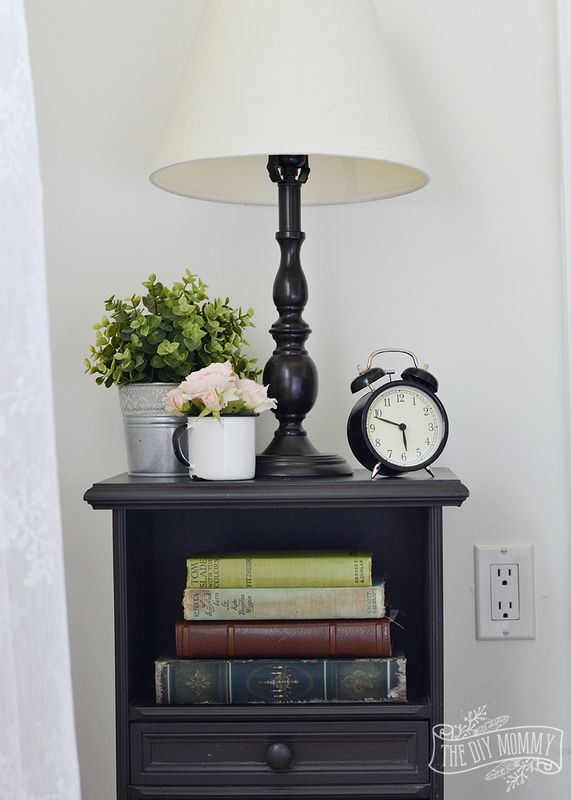 Other budget details include a couple of re-purposed tables we’ve used as night stands. The one on the left is a little antique table that my mom repainted. 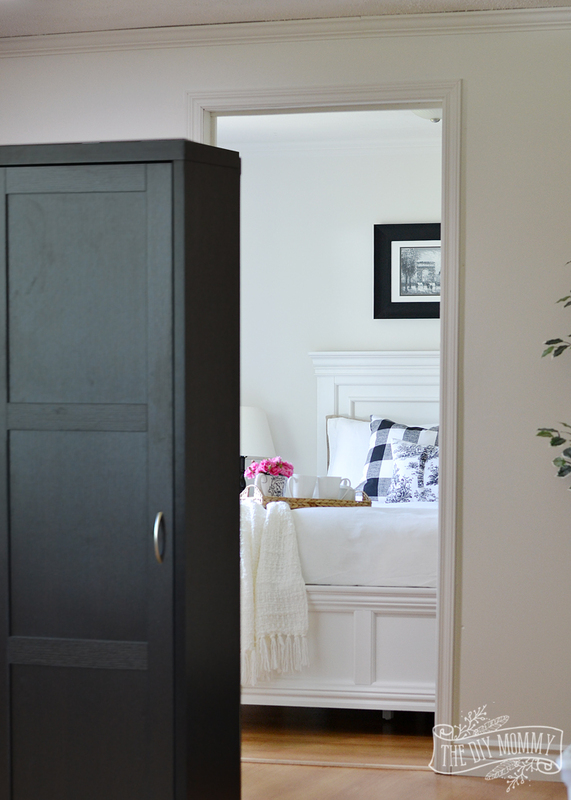 It also has some great drawers and nooks that are always handy to have in a small space. The table on the right is an antique magazine rack which also offers some great storage in the bedroom. 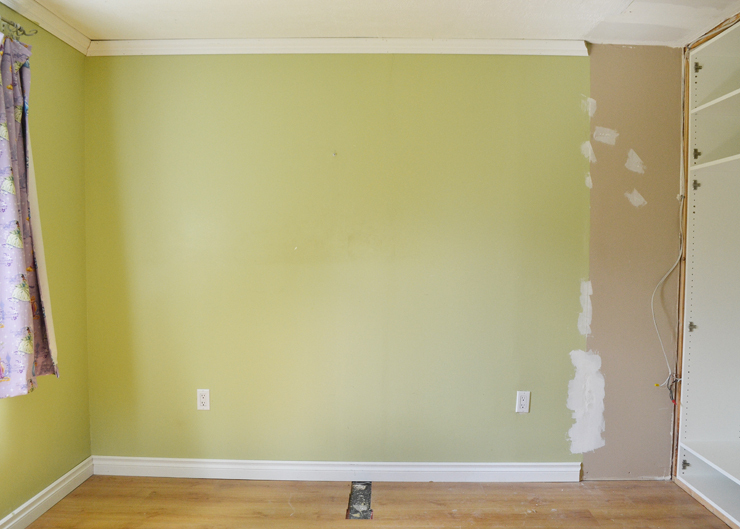 This wall on the right is covered in cupboards for even more storage options – we installed these when we were living here, and they were essential to living in such a small home. The art over the bed was a gift from my sister to my mom, so since my parents are our first guests, we hung them up. My sister purchased the art from a street vendor in Paris on one of her trips as a momento. Aren’t they perfect in this space? Besides being meaningful, they also add to the French country charm of this space. The chunky black frames on this art help coordinate with the other black items in the room. 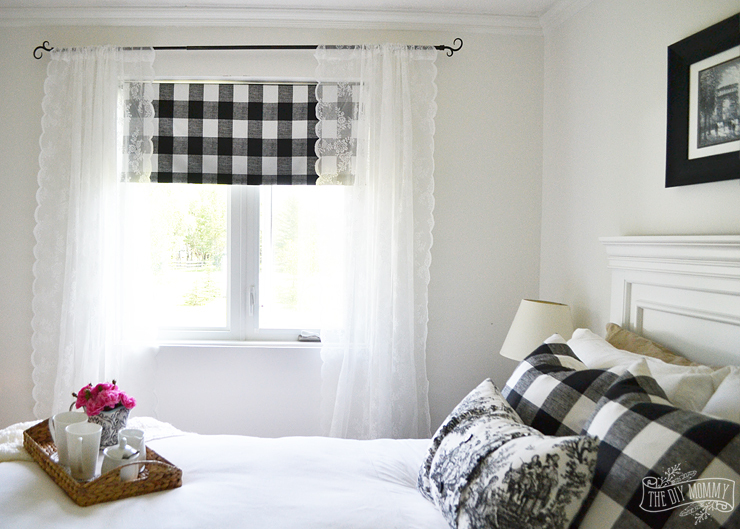 I covered the black-out blind hung in the window with some beautiful, large-scale buffalo check fabric. I’ll share the tutorial for that soon; it’s such a great way to dress up a functional shade! 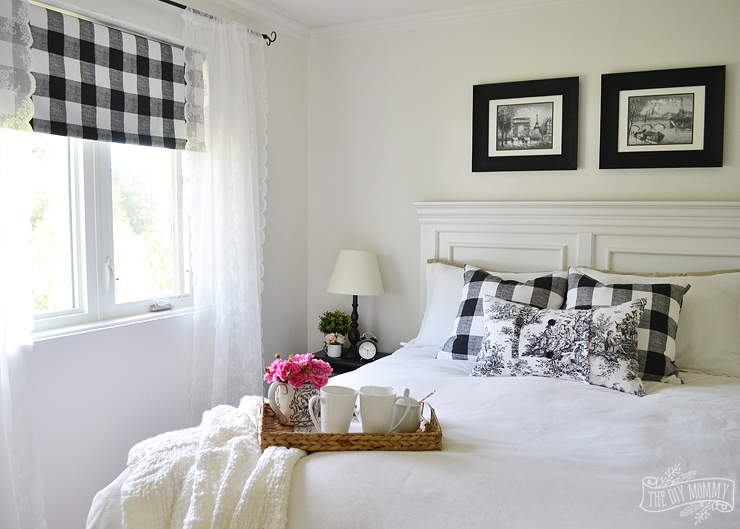 Some sheer lace curtains hung on either side of the window help soften the graphic plaid fabric and help give the room a relaxed look. 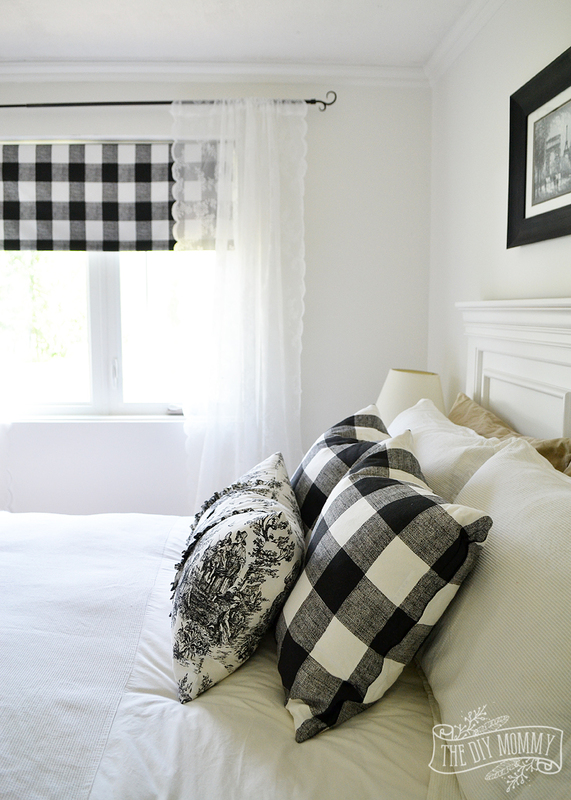 The throw pillows on the bed coordinate with the plaid shade, and they’re also handmade. 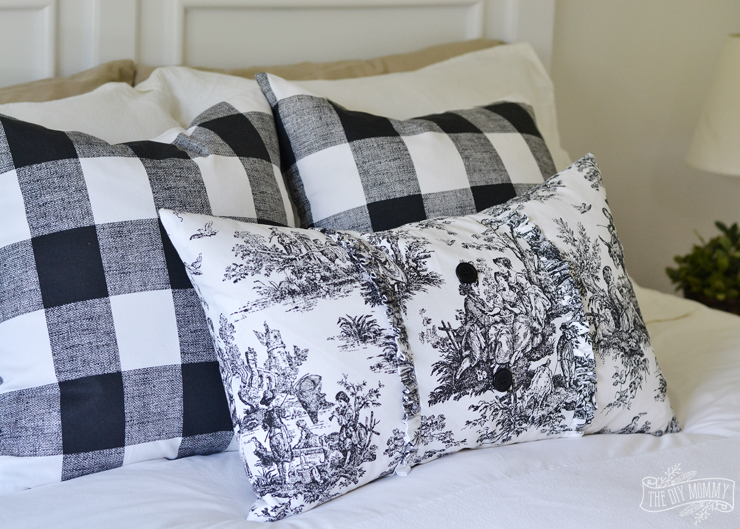 You know I LOVE a good DIY pillow cover to add a pop of pattern to a room! My mom lovingly sewed these, and if you want to make some DIY throw pillows yourself, make sure to visit my pillow cover tutorial here. Flowers from my garden and a few faux greens here and there help make the bedroom feel welcoming and ready for my guests. And let’s not forget about the mattress – it’s such a critical part of any bedroom! In this room, we’re using the Serta Perfect Sleeper Dovington Euro-Top Firm Queen Mattress Set from The Brick, and it feels so luxurious. This mattress is firm, but it contours to your body for a comfy sleep. I definitely think my guests will appreciate this bed and this cozy room! Beautiful! Love that bed especially! I’m sure all your company will love it! 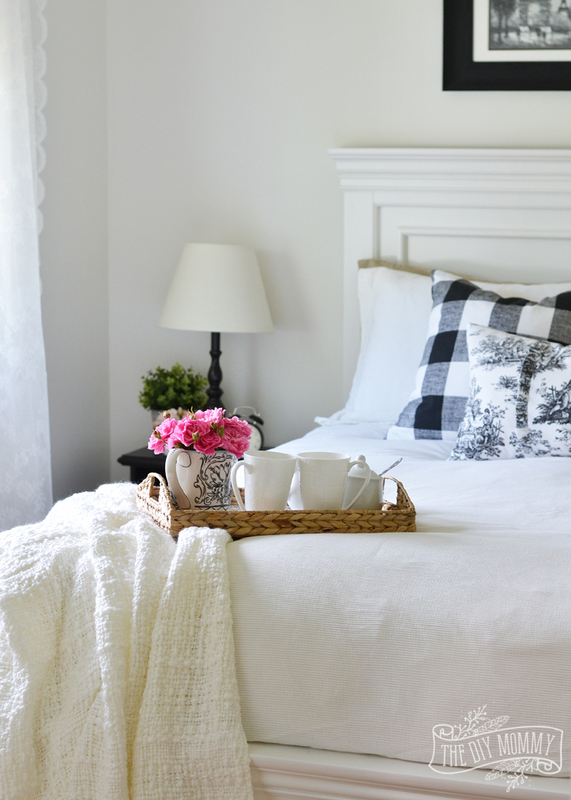 Love the black and white colour scheme, so simple and airy. You’ve done a great job with a tiny space. Love it. Gorgeous! I agree, that bed is a stunner! 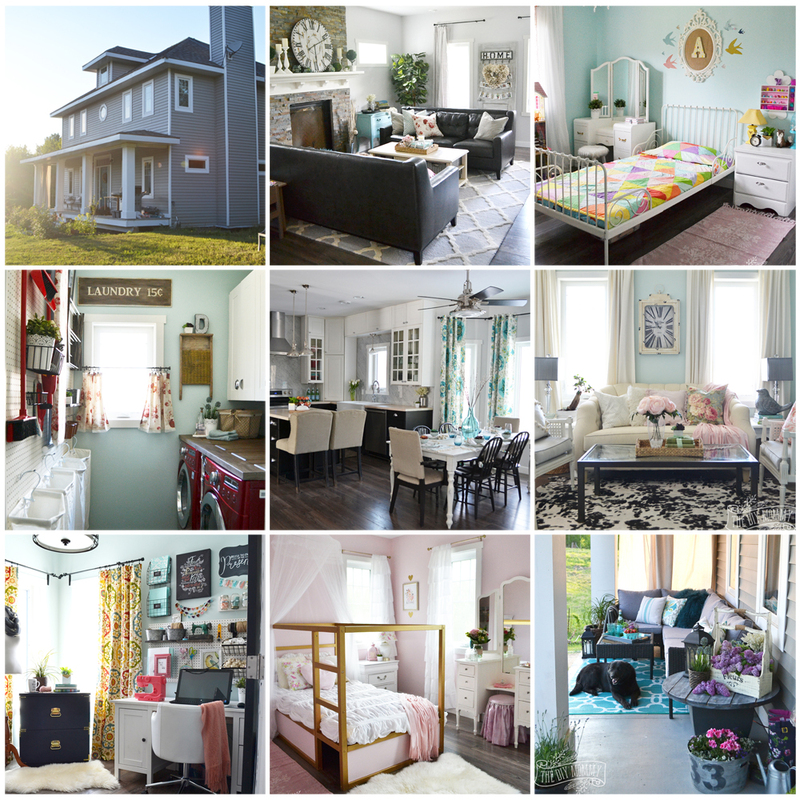 Love the design of your bedroom, sure happy to stay inside! I just was watching your video tutorial on Instagram for the fabric-covered blackout shade (great idea and I can’t wait to try it! ), and I noticed the lace curtains – may I ask how you hemmed them? I want to get some from Ikea but they’re waaay too long and I have no earthly idea how to hem lace… Thanks! We just left them long! However, if I was to hem lace I’d probably use a tiny zig zag stitch! Love this bedroom ❤️ What paint and colors did you use?